The "Good for You" singer, 23, arrived in Paris clad in a cozy pair of red sweats for the city&apos;s fashion week activities on Tuesday, March 8. But they weren&apos;t your standard athleisure pieces. 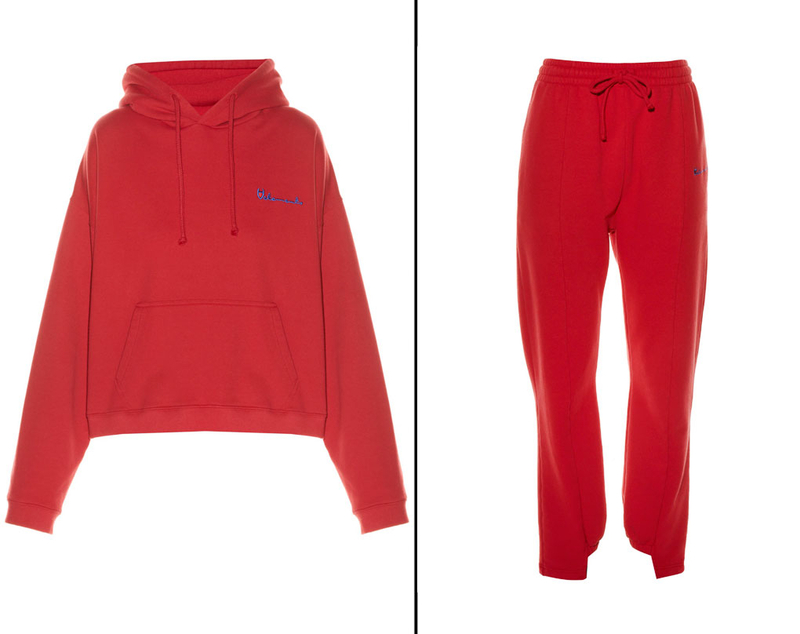 Though seemingly just a hoodie and drawstring pants, Gomez&apos;s scarlet separates are made by French label Vetements. The hooded logo-print sweatshirt is $735 and Cutout Cuffs track pants are $665, for a grand total of $1,400 (net-a-porter.com). The night before, Gomez shared a snap of herself relaxing in the ensemble while dining on a meal of waffles and wine. She captioned the Instagram share, "Prepping for #pfw." The Spring Breakers actress is expected to attend the fall 2016 Louis Vuitton fashion show on Wednesday afternoon. What do you think of Gomez&apos;s luxe sweats? Tweet with @UsWeekly using the hashtag #stylebyUs!